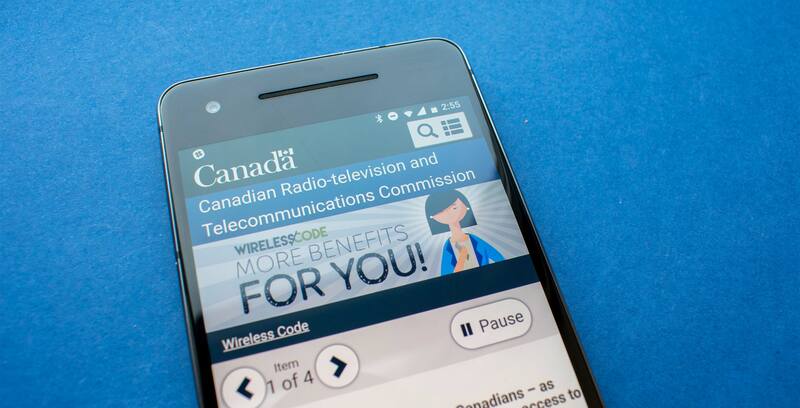 The Canadian Radio-television and Telecommunications Commission (CRTC) has announced that it will launch a “public process” to determine how precisely to implement data-only wireless plans in Canada. The CRTC has also announced the final rates for wholesale roaming services — the fees that national carriers Bell, Rogers and Telus charge smaller wireless players to access their networks while roaming. Takeaway from CRTC decision: carriers win. Mandated MVNO via CRTC years away, if ever. Low cost data-only plans may assist some on affordability but won’t address broader pricing concerns. In short, the Commission won’t do much on wireless competition. Over to you @NavdeepSBains. Today’s news is a surprising move on the CRTC’s part, as the Commission was expected to more directly address the subject of Wi-Fi-first MVNOs, like Sugar Mobile, as instructed by innovation minister Navdeep Bains in June 2017. In a media call, CRTC chairman Ian Scott confirmed, however, that the commission was re-affirming its decision that Wi-Fi does not count as a home network, effectively closing the door to Wi-Fi-first mobile virtual network operators (MVNOs) for the time being. In a March 22nd, 2018 media release, Bains seemed to approve of the CRTC’s decision. He did, however, state that more could still be done to improve wireless affordability. During the media call, Scott noted that the CRTC may re-consider mandating MVNOs when it launches a review of the wholesale wireless framework within the next year. “We’ve also advanced a planned fulsome review of the entire wholesale access regime, and at that time, I am certain MVNOs will be reconsidered and whether or not they need to be mandated will be a factor in that reconsideration, so will aspects of the international 5G services,” said Scott. For now, however, Scott is opting to give Rogers, Bell and Telus until April 23rd, 2018 to submit their proposals for national lower-cost data-only wireless plans. Once Canada’s big three carriers submit their proposals, the CRTC will publish them for public comment. “Today’s decision will see the introduction of lower-cost data-only plans throughout Canada as well as reduced final rates for wholesale roaming. As a result, Canadians stand to benefit from more investment in wireless networks and innovative and reasonably priced services,” said Scott in a media release. Digital rights advocates like OpenMedia’s Katy Anderson expressed disappointment with the CRTC’s approach. “Today’s decision is incredibly frustrating for Canadians who have long been fed up with paying some of the highest mobile bills in the world,” said Anderson, in a March 22nd, 2018 media release. Samer Bishay, CEO of Ice Wireless and Sugar Mobile, was disappointed, but expressed hope about the possibility of mandates in favour of Wi-Fi-first MVNOs. “It is a blow for the canadian consumer, but it’s not the end of the world, this is the beginning of a movement [towards mandating MVNOs],” said Bishay, in a phone call with MobileSyrup. The CRTC states it will review its current wireless access framework within the next year. Correction: This article initially stated the CRTC was deferring the Wi-Fi-first decision. CRTC chairman Ian Scott made it clear on a media call that the commission has re-affirmed its decision not to consider Wi-Fi a ‘home network,’ thus closing the door on the prospect of Wi-Fi-first MVNOs at the time being. Additionally, this article initially stated that wireless wholesale roaming rates had not yet been released, but they can be found in the conclusion of the decision. This article has been updated accordingly. Update 22/03/2018 5:20pm-6:30pm: Added quotes and additional context, updated with comment from Bell, OpenMedia’s Katy Anderson, Ice Wireless CEO Samer Bishay, Telus and Rogers.